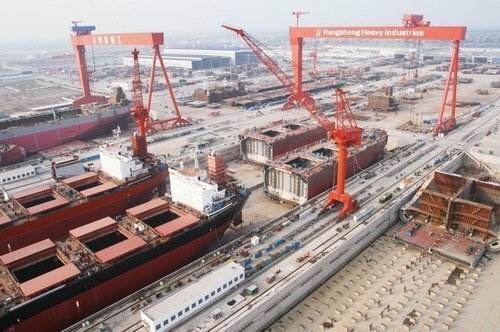 Huarong Energy, formerly Rongsheng Heavy Industries, has announced that it has completed the sale of its shipbuilding assets. Last October, the company entered into an agreement to sell 98.5% equity interest of Rongsheng Heavy Industries, the entire interest in Rongsheng Engineering Machinery, Rongsheng Power Machinery and Rongsheng Marine Engineering Petroleum Services, to Unique Orient, an investment holding company owned by Wang Mingqing, a creditor of Huarong Energy, for a nominal price of HK$1. Once the largest private shipyard in China, Rongsheng ceased shipbuilding operations in 2014 after it was hit by a major financial crisis and the shipyard rebranded into Huarong Energy in 2015. Huarong Energy is of the view that the shipbuilding and engineering business is unlikely to see a turnaround in the foreseeable future and it is in the best interests of the company to dispose of the business and focus its resources on energy.